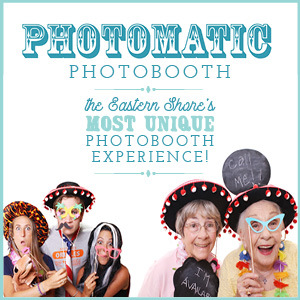 1) Looking for the perfect wedding Welcome Bag? 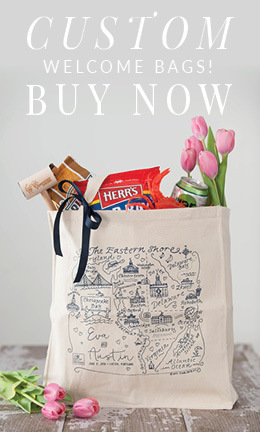 We’ve got you covered with My Eastern Shore Wedding’s new custom map tote! Customize the hand-drawn map (by CinkArt) with your names and wedding date, and fill it with the weekend’s itinerary and your favorite local goodies! 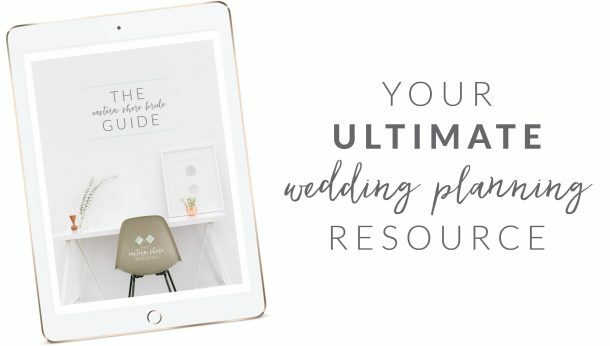 We’ve got some great ideas to get you started on page 50. 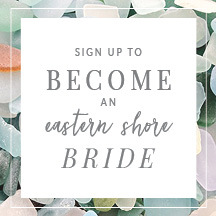 Email us at cara@myeasternshorewedding.com for information on placing an order! 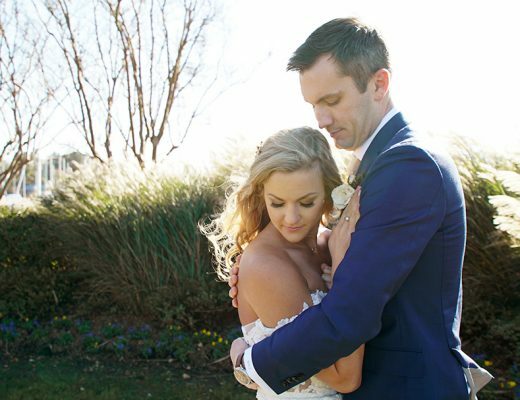 2) Head to page 32 to see all the cute personal details at Kate & Jamie’s fun and festive nuptials! 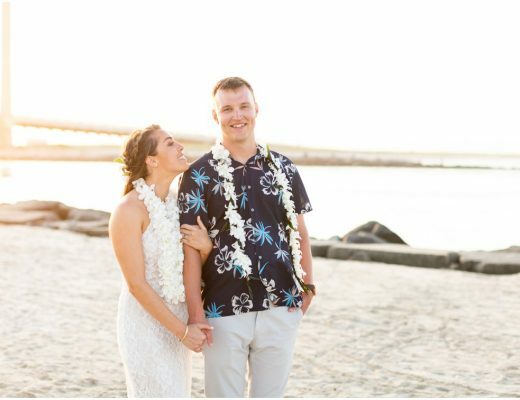 We’re chatting with Ebb Tide Tent & Party Rentals about their advice for planning your own backyard wedding. 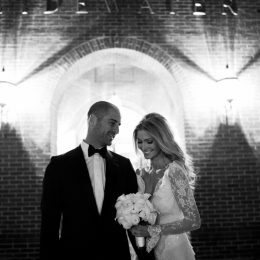 One of our favorite elements from Kate & Jamie’s special day? Their Orange Crush bar, of course! 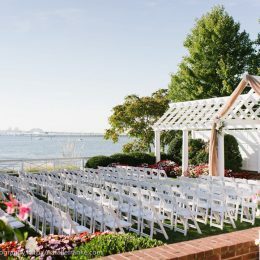 3) Speaking of backyard weddings, Carolyn Lasako gives us three things you need to know if you’re considering getting married at a private estate. Between her industry experience, and the process of planning her own backyard fête, she’s got a few tips you won’t want to miss starting on page 8. 4) It just isn’t a Maryland summer without Maryland blue crabs! Steamed crabs, crab cakes (broiled or fried), crab dip, or crab imperial…you name it, we love it! The soft crab has always been a personal favorite of mine, but seemed like an intimidating dish to make at home, so reserved for dinners out. Not any more! Head to page 66 where Doug Stewart of Stewart’s Catering shows us the tricks of the trade when it comes to preparing this local delicacy. 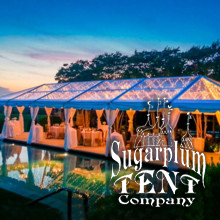 5) Eastern Shore Tents & Events did a stunning job of highlighting the neutral & natural elements of Jess and Richard’s wedding! 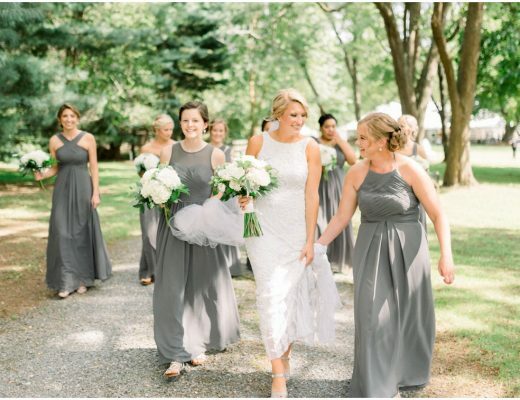 There’s just nothing sweeter than a bride getting married at a home where she spent her childhood summers! See the stunning set-up on page 16. 6) On page 58, we’re talking to Pâtissier Steve Konopelski about his gorgeous (and delicious!) wedding cakes, and how his start as a broadway dancer led him to his career in the pastry industry. 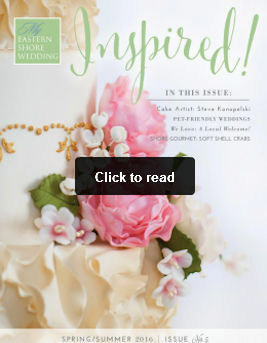 See one of his lovely creations on the cover of this issue! 7) Make no bones about it, we love the idea of including your pets in your wedding! 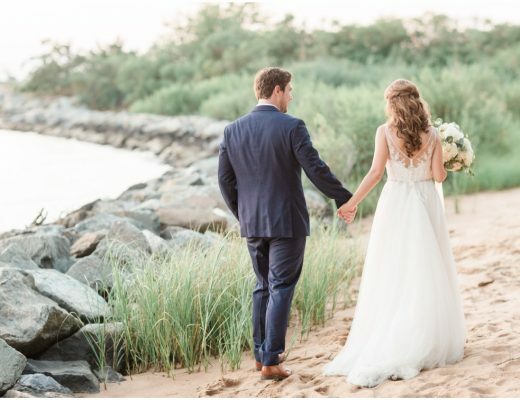 We’ve got a few fun ideas of how to make sure your fur-family isn’t forgotten on your big day, including a chart showing the rules and regulations when it comes to pets at our favorite Eastern Shore venues. Drop by page 52 to get the scoop! 8) In our “5 Minutes With” section on page 14, we’re getting to know Jalan VanLowe, office manager of local landmark, The Crab Claw Restaurant! Jalan has been at this waterfront establishment for 37 seasons (!!!) 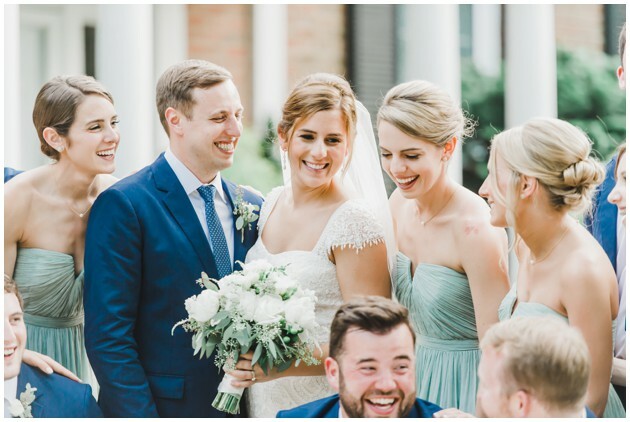 and knows everything you could ever need to know about having your own casual and fun rehearsal dinner on the St. Michaels Harbor! 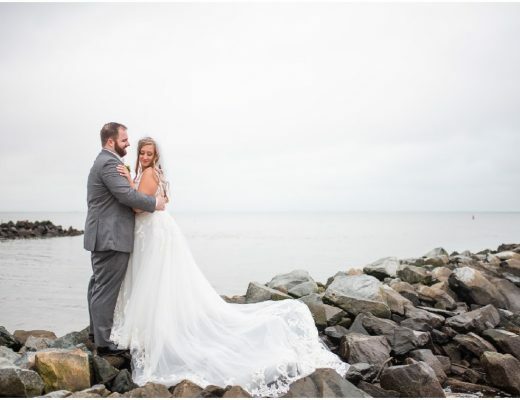 Thank you for the kind words and featuring our wedding Eastern Shore Weddings! It was a beautiful weekend and we are so thankful to everyone who helped pull it together. oh my god , love the wedding cake ! Amazing right?! Check out Steve Konopelski’s beautiful work!